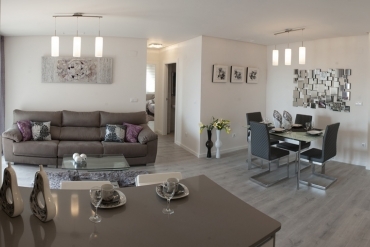 When a real estate agency has a professional estate agents in La Zenia - Orihuela Costa the chances of the client finding the house of their dreams is May. And Casas Espania has real professionals who care from the first minute to ensure the interests of our customers. Our only purpose is to make them feel proud of the property they have purchased. For this, we focus our work on both the pre-sale service and the after-sales service. First of all, when the client is interested in our real estate, our real estate agents in Costa Blanca are responsible for conducting a study of tastes and needs that you want your home to contain. Once the housing is adapted to their priorities, the client decides to buy the property that most catches his attention. When you have already bet on living in one of them, it is when our after-sales services come in. Our professionals are concerned that everything is in order and are available to the client, in case of any inconvenience. 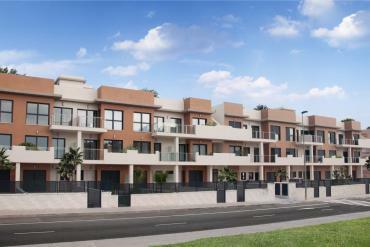 What offers our estate agents in La Zenia - Orihuela Costa? Our estate agents in La Zenia - Orihuela Costa offer you various formats of properties for sale throughout Orihuela Costa and part of the Costa Blanca. With Casas Espania Inmobiliaria you will have the opportunity to discover the advantages of living in Spain in a bungalow, in an apartment, villa, duplex, townhouse ... All these types of housing styles can be enjoyed in cities such as: Ciudad Quesada, Guardamar del Segura , Orihuela Costa or Torrevieja. But our real estate agents also offer properties for sale on the Costa Calida (Murcia). If you love this area of Spain, you can live in cities such as Cartagena, Los Alcázares, San Javier or San Pedro del Pinatar. If you need more details about the benefits of living in these areas of Spain, get in touch with our estate agents in La Zenia - Orihuela Costa. Do not know how you can get in touch with our real estate agency? You can come and visit us at Calle Maestro Torralba 4b, Zenia Golf II Shopping Center La Zenia 03189 (Orihuela Costa). Send us an email to our email to info@casasespania.com.